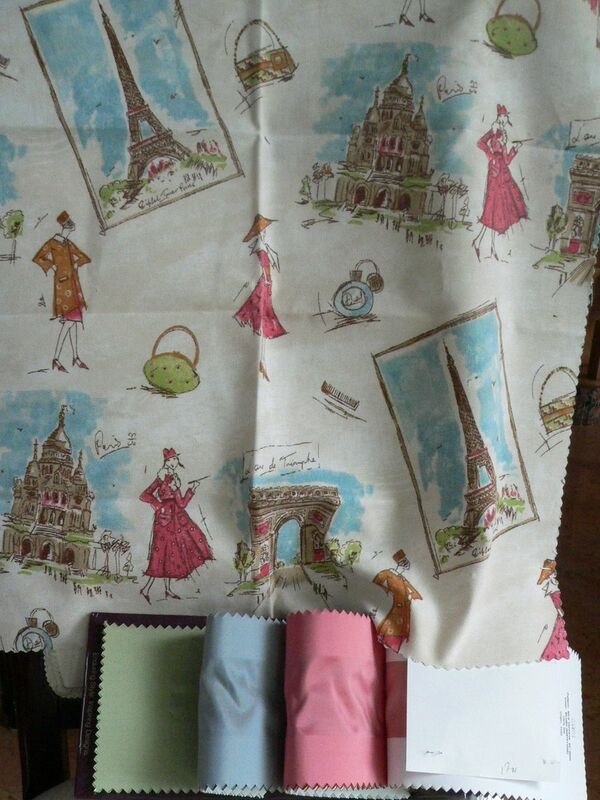 This textile bedding design is inspired by a Paris themed fabric and coordinated with bright colors. 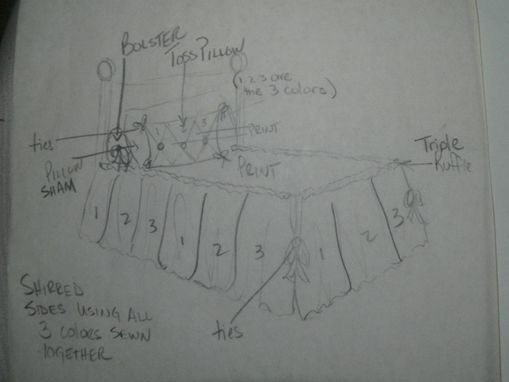 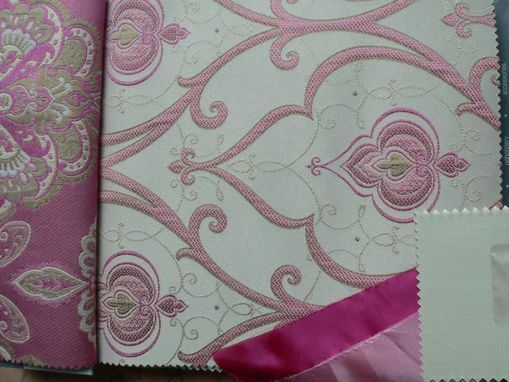 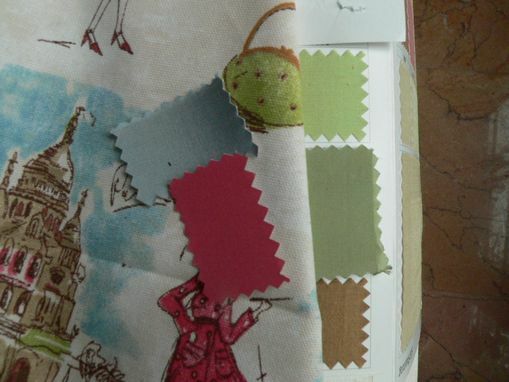 Sketches detail this custom made bedding ensemble which will set off a fun design of style, color and love of Paris. 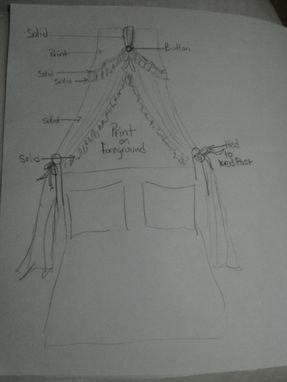 Included are additional fabric patterns and canopy design giving your imagination another possiblity. 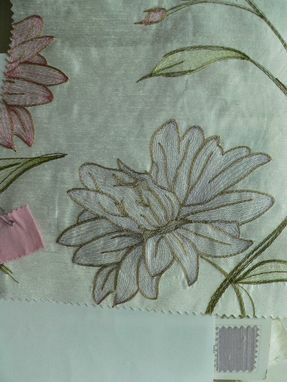 Dimensions: Finished for any bed size or color preferences.